How about a four-door hypercar? “It’d be a pretty wild SUV because you’d have a big tunnel in the centre, huge sills, buck seats. I think it could be a thing the market could accept. But I’m just not a fan of SUVs. To me they are fundamentally flawed. 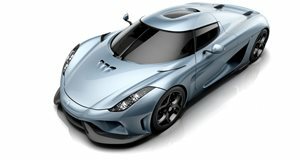 Sure we could sell them, but I don’t want to,” stated Koenigsegg. That’s good news. But what’s the catch? Apparently, Koenigsegg is planning on making a four-door in the near future. “That’s very much on the drawing boards,” stated Koenigsegg. “It’s a project we’ve been working on for quite some time. I’d be surprised if that’s the next thing we release—because we’re getting such a good response for our traditional type of supercars—but it’s a car I’d love to do.” A four-door Koenigsegg that has over 1,000 hp sounds like a hoot. Since the Agera is now entering the final stage of its life, it makes sense that the automaker is looking for the next thing. Its latest hypercar, the Regera, utilizes electric motors in the powertrain and Koenigsegg believes that an all-electric vehicle could be in the future, as well. “In the long term, yes” he stated. “But to get up to our kind of power levels and performance expectations, we would have to have a battery pack weighing over 800 kg. That will change over the coming years. But as the batteries get lighter, you can then have a super lightweight combustion engine, and combine the two with no weight penalty.” Right now, Koenigsegg will continue to make two-door supercars, but changes are ahead.